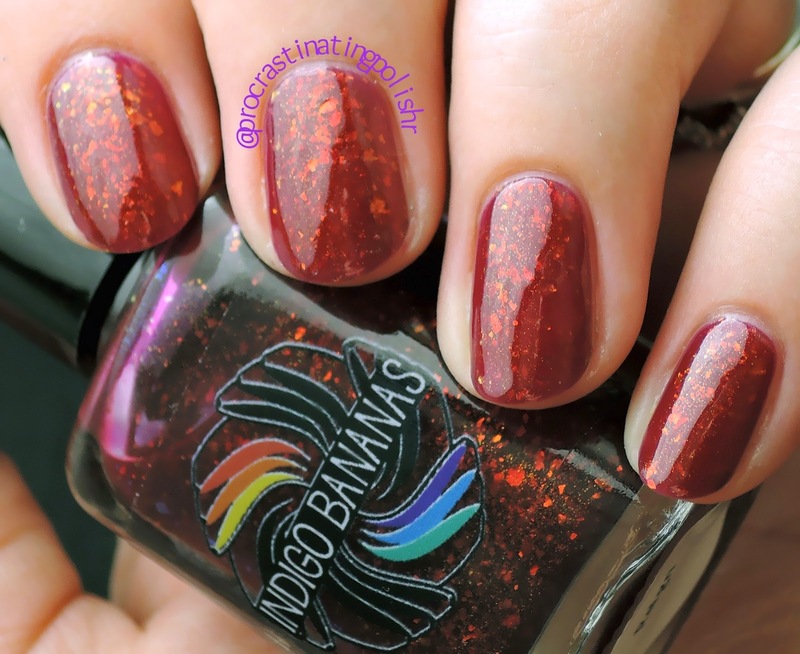 I was looking through some recent swatches and found this gem from Indigo Bananas and thought it deserved a bit of blog love. 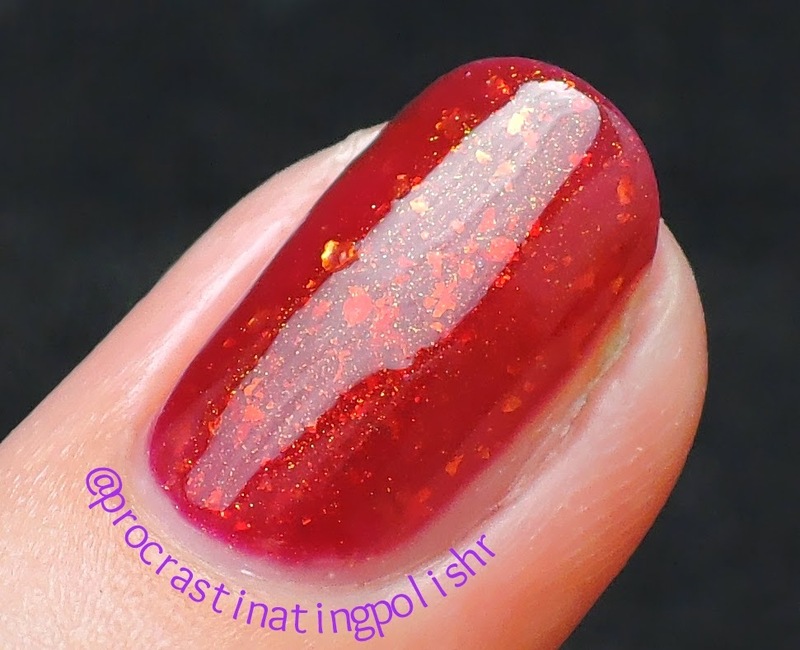 Reign is a beautiful blood red jelly packed with colour shifting flakies. In different light this polish can look anywhere between a light berry tinged red to a deep burgundy/wine. The flakies shift from a golden orange through to a vibrant green. I wish I'd been able to capture the green shift in my photos because it's really what pushes the polish from good to great. 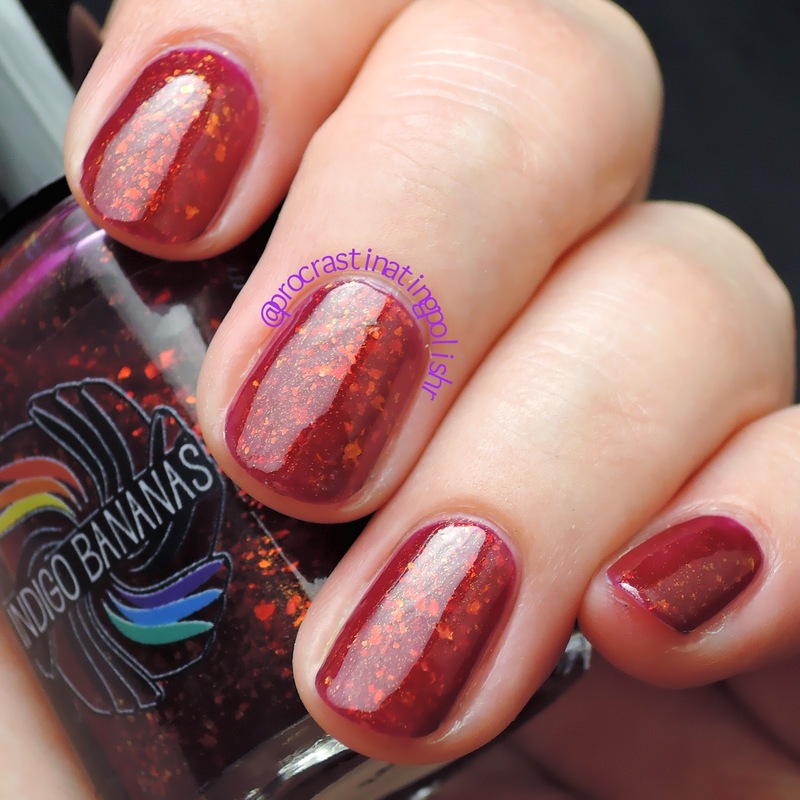 The flakies are super well behaved - smooth and easily distributed across the nail. I have already added a few more Indigo Bananas to my wishlist, Acid Ocean is absolutely screaming for me to buy it! Any others you think I need to try?